We are excited to introduce Katie Curtis, the new Development Director at Foundation 2! Katie has worked in the Cedar Rapids nonprofit sector since 2009. She has a background in community-based program management and fundraising development. 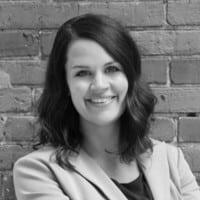 Katie has a BA in Leisure, Youth and Human Services with an emphasis in Youth Development and Nonprofit Administration, a minor in Family Services and a MA in Philanthropy and Nonprofit Development from the University of Northern Iowa. Katie is passionate about addressing youth mental health and suicide prevention. Welcome to Foundation 2, Katie!